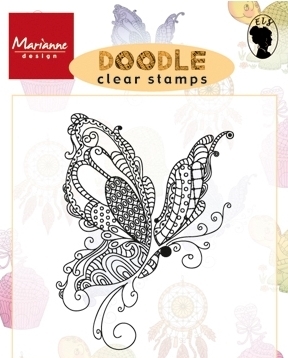 If you like Marianne Design you may also like to check out all the dies and accessories we have from this super range. Lots of project ideas there too! 1 piece, size 140 x 60 mm. Stamp in a corner, border or twist, turn and layered stamp. 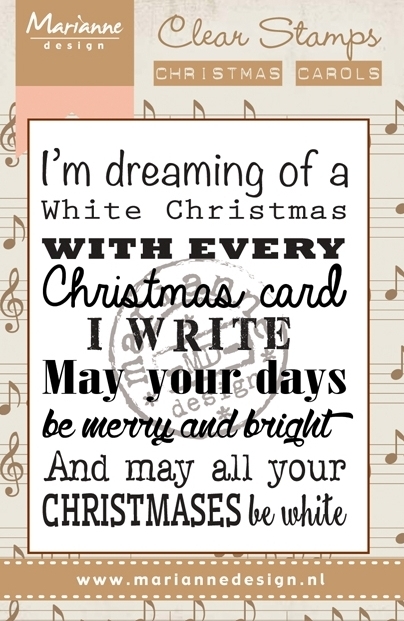 Christmas Carol White Christmas Clear Stamps are for use with an acrylic stamping block. 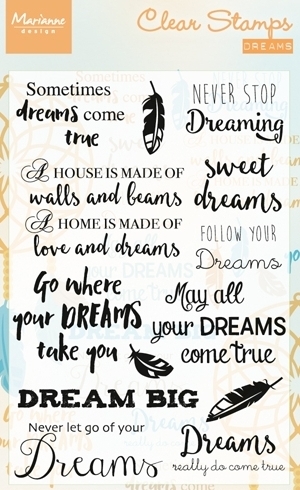 (Stamping block not included). 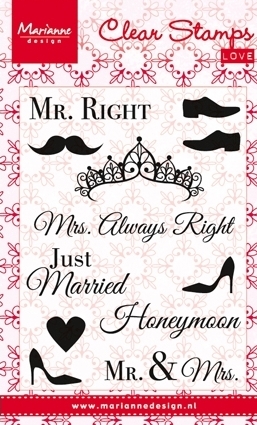 Mr & Mrs Clear Stamps are simple text and figure designs. 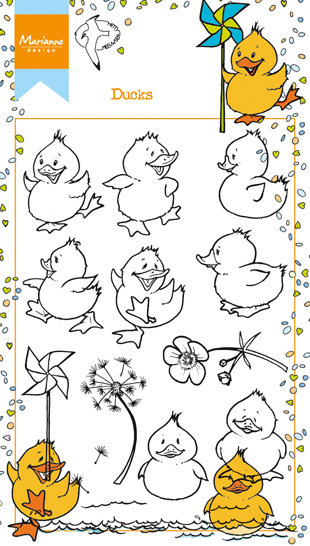  Stamp set 100 x 74 mm. 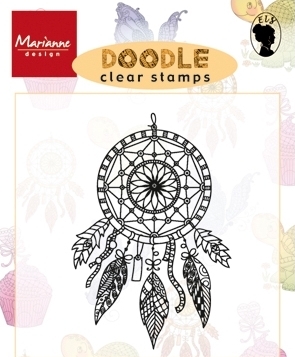 Make your mindfulness cards complete with these dream themed clear stamps.  Set measures 95 x 140 mm. 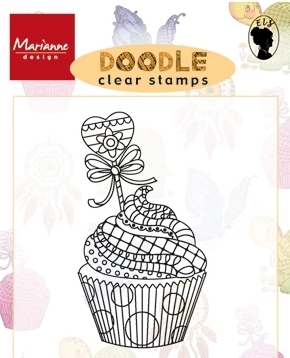  1 stamp; 60 x 80 mm. 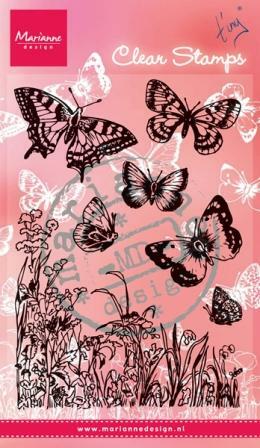  1 stamp; 54 x 80 mm. 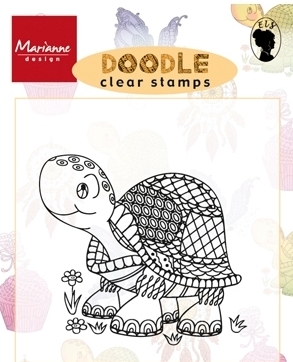  1 stamp; 50,5 x 64,5 mm. 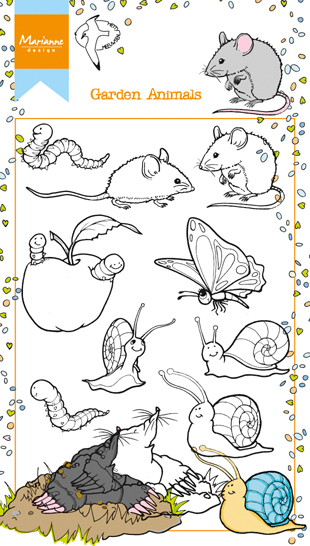 Tinys Border: Spider Web Clear Stamps. Consists of different elements to design your project with. 4 pieces. 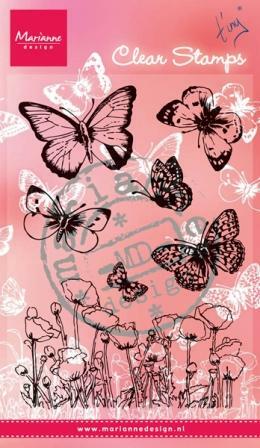 large stamp: 107 x 65 mm. 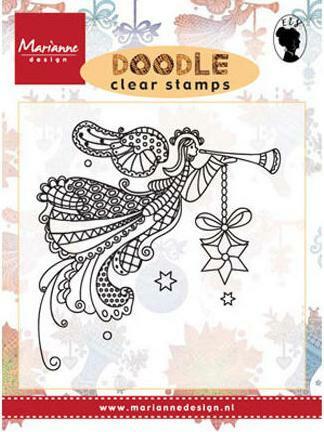 Doodle Angel Clear Stamps, Doodled by Els Wezenbeek. 1 piece, 76 x 78 mm. 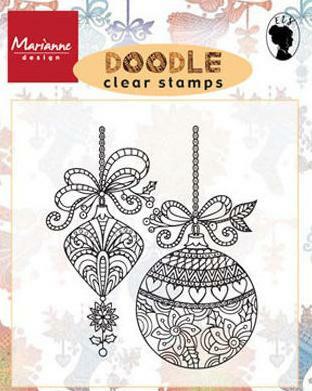 Doodle Christmas Stocking Clear Stamps. 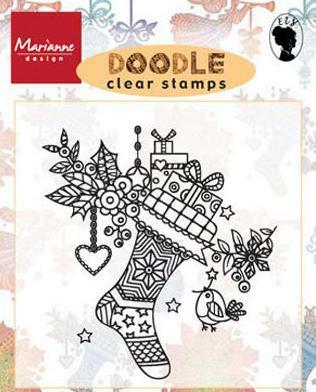 Colour the doodles on this Christmas stocking filled with presents. 1 piece, 83,5 x 80 mm.